We’ve had a mountain of questions from you all so far and it’s been awesome watching everybody dissect the trailers and screenshots. We love reading your tweets, Facebook comments and forum posts so here are the answers to some of the most frequently asked questions so far. Why are you not making a next gen F1 game? Where is the red stripe on the Williams Martini Racing car? Well… this was quite the topic of conversation yesterday on Twitter between a lot of fans and those who work in the sport. So here’s the thing…we would have loved to have featured the full race livery and we worked very hard with all of our partners & sign off parties to come up with a solution. Unfortunately due to circumstances outside of our control we’ve had to use a modified livery for the game, just like Williams Martini Racing have to when competing in countries that prohibit the advertising of alcohol. We’re continuing to explore ways to address this in future releases. Will the Classic Content return from F1 2013? Last year we featured classic content as the sport itself hadn’t changed a great deal and we wanted to offer a different experience alongside the main 2013 content. However, seeing as 2014 has seen masses of changes to the sport itself, which is providing a different F1 experience for this year’s game and the fact that we are also working on a new generation F1 game, we’ve had to take a break from classic content this year. Don’t despair though, classic content is something we’re still very interested in and will explore again later in the series. Will there be a new PC version when the next gen versions come out? 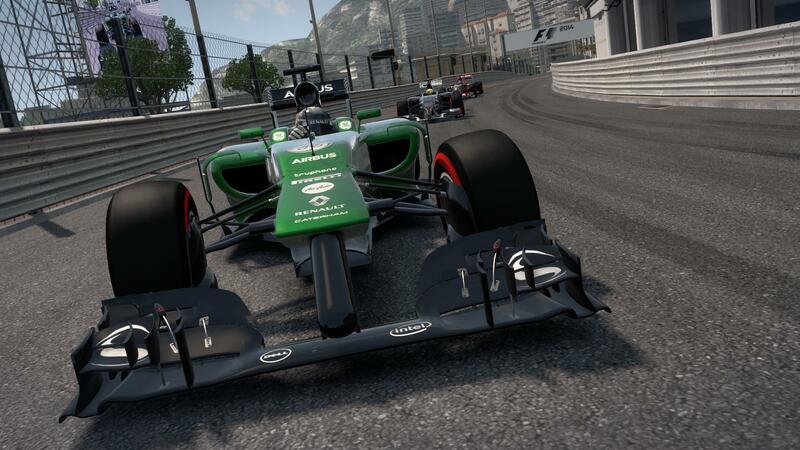 Yup, F1 2014 will be on PC, Xbox 360 and the PlayStation 3 all built in the same engine. The next gen version will be built on an all-new engine (we’d don’t to ports) and available on PlayStation 4, Xbox One and of course PC. When can we see new-gen F1 in action? You’ll be hearing (and seeing!) 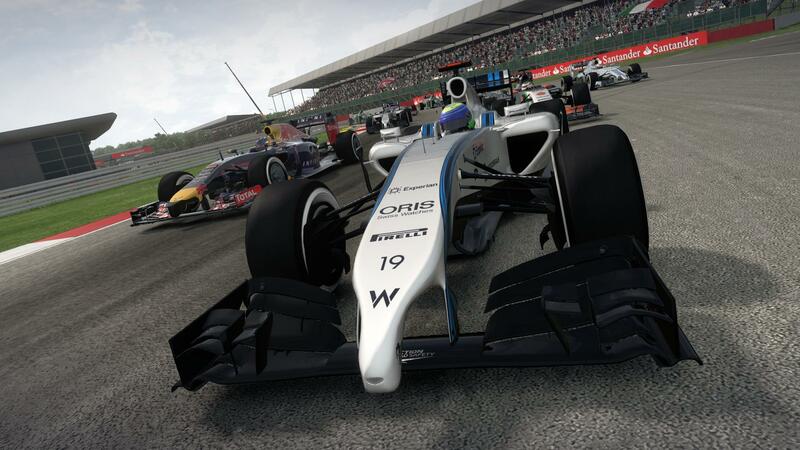 a lot more about our new-gen F1 project once F1 2014 launches this October. We know you’re excited, and so are we, but we’re not ready to show off the game just yet. What new features were you referring to during yesterday’s announcement? Here’s some more info on some of the features we talked about during announcement. REFINED CAREER MODE Play through a full Formula One season or choose from shorter seasons, including 7 race and 12 race options. EXPANDED SCENARIO MODE The expanded Scenario mode features a range of different scenarios based on real-world challenges and moments from recent history. REFINED HANDLING The enhanced game physics combined with refined handling via gamepads delivers a more authentic and accessible driving experience for all players. DRIVER EVALUATION SYSTEM Replacing the Young Driver Test in-game is a new driver evaluation system. 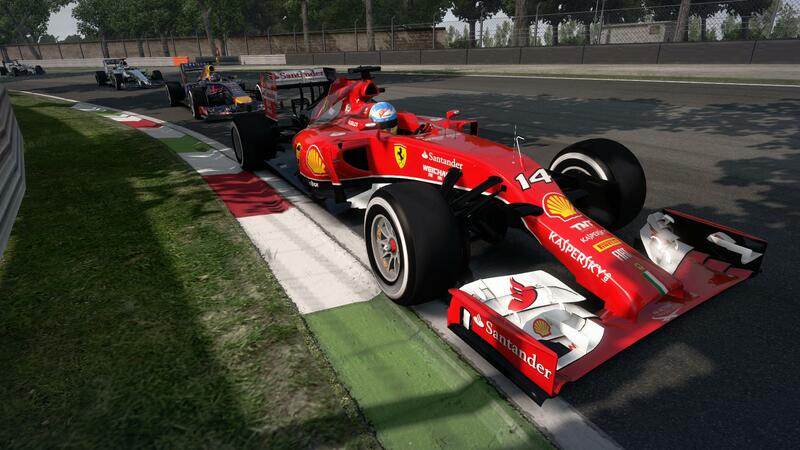 You’ll be launched right into a one lap race after loading F1 2014 for the first time. After completing the race the game then suggests an appropriate difficulty level dependant on your performance. To encourage the widest range of players to enjoy F1 2014, difficulty levels have been adjusted for periodic progression. Very Easy difficulty level is the most approachable yet for newcomers to the series, whilst the game’s hardest setting, with all of the driving aids switched off, will simulate the technical challenges facing F1 drivers of today. TURBO-CHARGED FORMULA ONE The introduction of turbochargers to the cars this year has increased both overtaking opportunities and the demands placed on drivers, as huge amounts of torque are unleashed under acceleration from these entirely new power units. 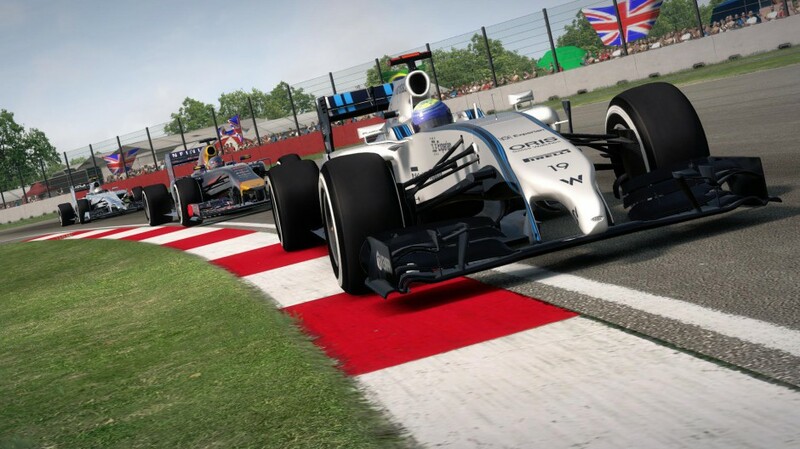 The turbochargers require greater throttle control than before and, with last year’s high-pitched engine sounds replaced with a deeper growl, F1 2014 players will experience the dramatic effect in handling the world’s most advanced racing cars. ERS DEBUTS Following on from the success of KERS, ERS – Electronic Recovery System – makes a dramatic debut in F1 2014 with 10 times the capacity of last season’s KERS system, ERS now generates an extra 160bhp for around 33 seconds which is delivered to drivers instantly, opening up more overtaking opportunities. Keep firing your questions over to us on Twitter, Facebook and over on the forums and we’ll answer everything we can.